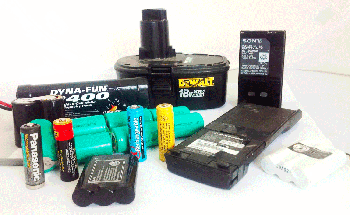 ORS/The Exchange is excited to be accepting batteries of all kinds for proper disposal. Vehicle batteries are free, all others are $2.00 per pound. 1. 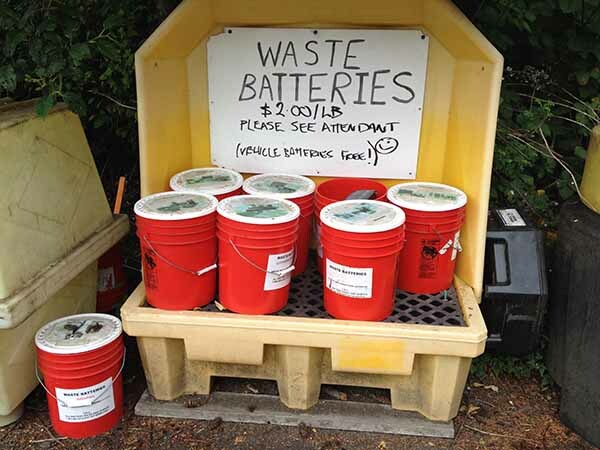 Batteries are made from valuable refined resources and chemicals. Lead, cadmium, zinc, lithium and mercury. Every battery we recycle will be taken apart and these materials will be recovered and used to make new batteries or something else. If you toss them, these resources, and the energy spent to refine them, are lost. 2. 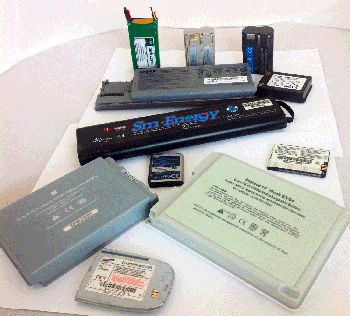 Recycling batteries is good for the environment. Most of the refined elements listed above are toxic. If we keep them out of the landfill, heavy metals will not leak into the ground, and ground water. Identifying Batteries Can Be Tough. As there are no uniform standards in the industry for labeling batteries, and with so many sizes and chemical compositions, this is not a perfect science. 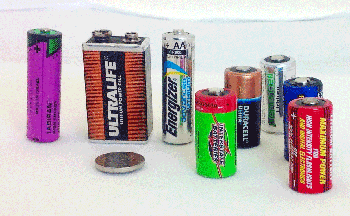 However, generally speaking, most of us only use a few types of batteries. Here are some of the most common. 90 Percent of your batteries are ALKALINE. These are your standard, non-rechargeable batteries. 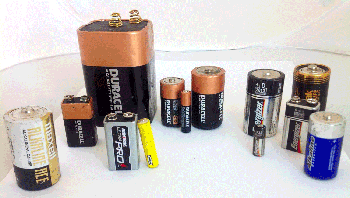 Alkaline batteries DO NOT need to be insulated for storage. Easy to identify–almost ALL are labeled as alkaline. Fairly common; hard to tell the difference from alkaline. Read carefully. Sometimes the only way to tell is that they do NOT say alkaline. Lithium batteries DO need to be insulated for storage. Tape the contacts. 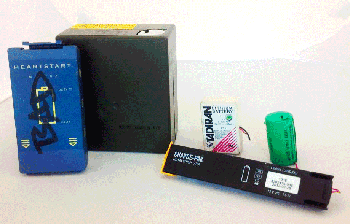 Rechargeable Lithium batteries, commonly found in computers, phones and cameras. Lithium batteries need to be insulated for storage if the contacts are exposed. They are OK if recessed. 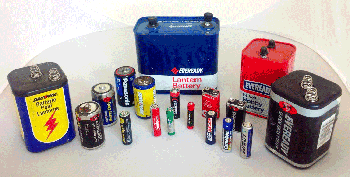 Most power tool batteries and household rechargeable batteries are Ni-Cd. Most have recessed terminals, and therefore do not need insulation. 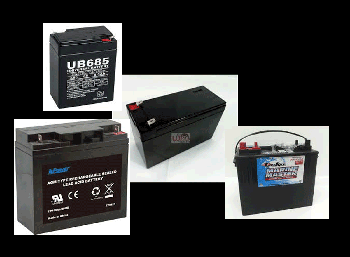 Lead acid batteries are typically vehicle batteries. Because of the lead, and relative ease of disassembly, these are the most sought-after batteries in the recycling market. That is why we accept these batteries for free. Carbon zinc are a less common household battery, and difficult to identify as they never say “Carbon Zinc” on them. Often they say “super heavy duty” or “long life”. Again, sometimes the fact that they DO NOT say Alkaline is the best clue. These also seem to be an older battery, appearing to be even decades old. Carbon Zinc batteries do not require insulation.